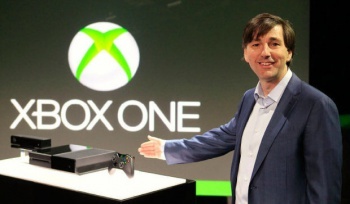 Anyone hoping to get some answers about the Xbox One will have to be satisfied with the main event. The Xbox One has been the focus of a veritable storm of rumors, due in large part to Microsoft's confusing and often contradictory explanations of the console's features. The company's upcoming press conference at E3 will no doubt deliver more information, and console manufacturers usually hold a post-conference roundtable with the media to discuss any points that weren't addressed in the public event. Unfortunately for those hoping for additional clarification, Microsoft seems to have cancelled its roundtable discussion at this year's E3 - the only details we'll be getting will be coming from the conference itself. With so many unanswered questions circulating through the gaming community, you might think that answering questions and shooting down falsehoods would be at the top of Microsoft's priority list. As it stands, the manufacturer won't be opening that conversation with the press. Sun Media's Steve Tilley reported the roundtable's cancellation through Twitter. According to Tilley, Microsoft won't be available to answer questions due to changes in the schedules of company executives, "including some external industry and partner sessions." "Not sure what to make of that" seems to be the prevailing attitude - while it could be as simple as an unfortunate schedule conflict, Microsoft had better be planning a clear and informative main press conference if it wants to quell the rumor mill. We'll have to decide that for ourselves when E3 kicks off next week.